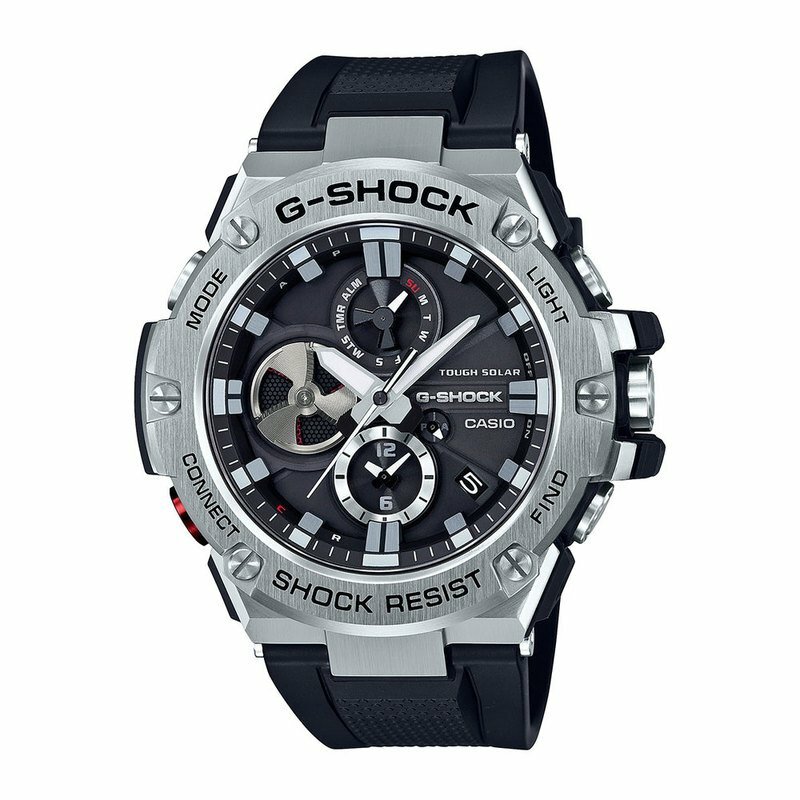 From G-SHOCK, the watch that always strives for toughness, the first G-STEEL lineup models to offer chronograph performance in analog format.Though all the dials of these models are analog, they still boast G-SHOCK level shock resistance. These watches are equipped with Bluetooth® that lets them connect with a smartphone at the press of a button, and acquire time information from an internet time server. The result is accurate timekeeping no matter where in the world you happen to be. Other functions include Tough Solar in combination with CASIO original power saving technology for a stable supply of power, highbrightness LED light illumination, and dual dial World Time.